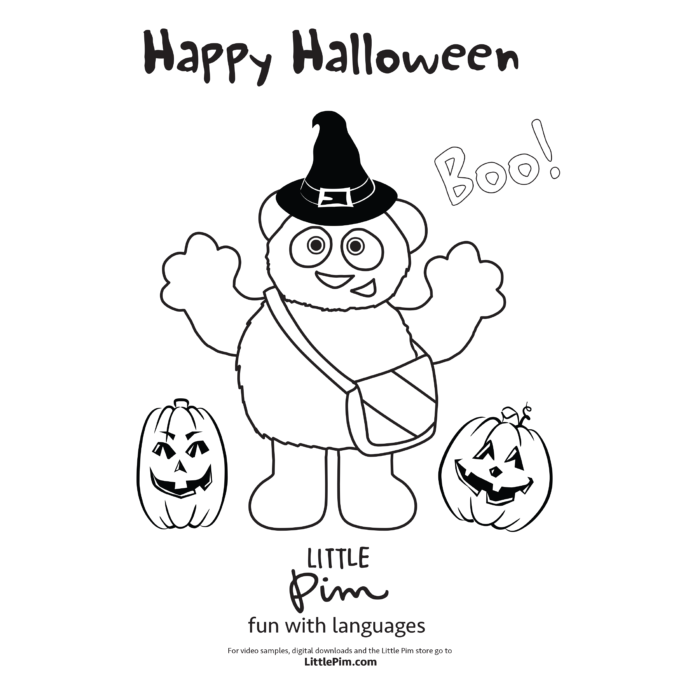 Hop, hop, hop into a new language with Little Pim! Celebrate the upcoming Easter holiday by printing out this free Little Pim Easter Coloring Page for your little ones. We’d love to see their finished creation, so please share your photo with us using the #littlepim on Instagram, Twitter, or tag us on Facebook! 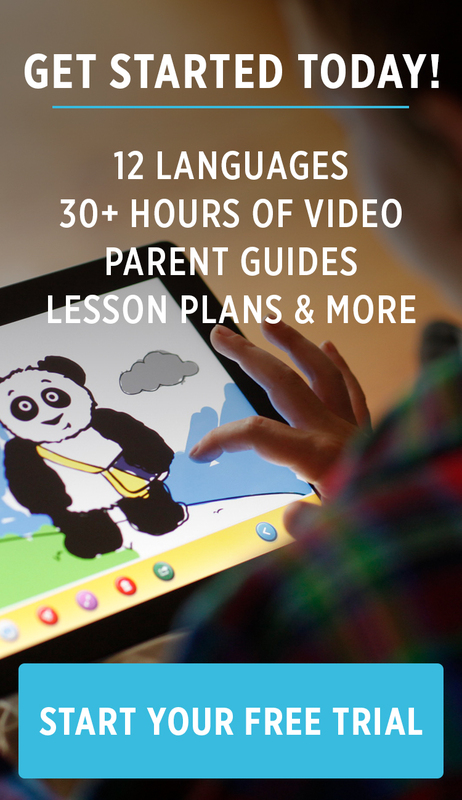 Also if you’re teaching your child a new language with Little Pim - Languages for Kids, post a photo or video of them watching our series and we’ll send you a free panda plush! We hope you all have a fabulous Spring and Easter holiday for those celebrating! If you’re interested in teaching your child a foreign language, take advantage of our Spring sale for 50% off your first 3 months of Little Pim’s Unlimited Subscription with code HOP50. With the heatwave we're experiencing here in the northeast, there's nothing like cooling off at the beach or pool. In this coloring page, Little Pim is at the beach ready to enjoy the hot summer day. When it feels like over 100 degrees outside, cool off indoors in the A/C while your little ones color with Little Pim! Let's see your kids' creations! Share their coloring page on Instagram/Twitter using #LittlePim or tag us on Facebook and we will send you a FREE Little Pim Panda Plush bear! Offer ends July 31st, 2018. Limited 1 panda plush per household. Happy Halloween! Celebrate this spooky holiday by printing out these free, full-size Little Pim coloring pages (click the images above to open the printable PDFs). Little Pim is all dressed up to go out trick or treating this Halloween. 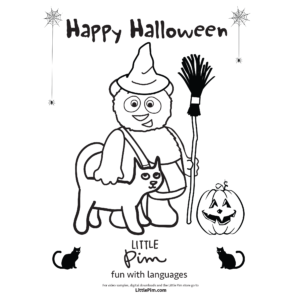 Share your Halloween celebrates with us by using the #LittlePim on Facebook, Instagram or Twitter! We hope everyone has a fun and safe Halloween. Happy coloring!